The Radius is made from powder coated steel and hardwood solids and veneers. This stylish rectangular coffee table features a tray-top design and is available in three distinct wood finishes. The Radius is made from powder coated steel and hardwood solids and veneers. 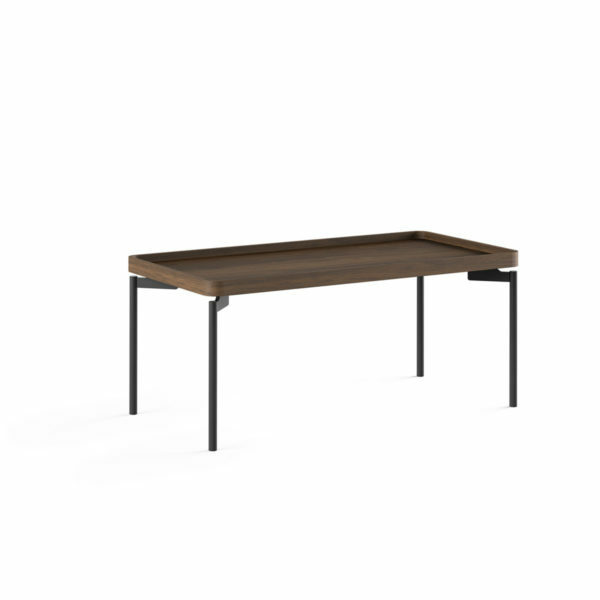 This stylish rectangular coffee table features a tray-top design and is available in three distinct wood finishes. Whether you are hosting a game night, enjoying a favorite beverage or assembling a puzzle with the family, the 1732’s unique tray top design keeps items in their rightful place.